This examination is being given to fill one (1) vacancy in the Human Resources Division and to establish an eligible list to fill future vacancies in the Confidential Representation Unit. The first certification of eligible candidates may be of eligible promotional candidates. Resumes will not be accepted in lieu of an application. A completed application must be postmarked or received online by the final filing deadline. Human Resources is a division of the County Administrator's Office, and positions in HR are part of the Confidential Representation Unit, and not represented by a Union. This position will be assigned to the HR Administration Unit and will report to the Deputy Director of Human Resources. The Office Technician Coordinator position will work closely with HR Administration to document HR policies and procedures, provide timely responses to administrative requests for information, and may provide support for labor costing. An ideal candidate will have experience researching, gathering and presenting data and information. Provides quasi-administrative/analytical support to managers, supervisors, professionals and other staff; gathers, analyzes and maintains specialized and complex information related to a wide range of departmental operations; researches, compiles, maintains and processes statistical, financial and/or other numerical data to support highly specialized office functions; coordinates and/or performs departmental personnel, payroll, purchasing, inventory, systems maintenance and/or other functions; may perform highly-advanced clerical accounting duties. Interprets and explains highly specialized and complex information regarding established rules, regulations, policies, procedures and technical office operations, to managers, patients, clients, outside agencies and others; researches difficult and complex issues; applies external laws, regulations, ordinances and policies as they relate to assigned responsibilities; may produce and/or issue complex documents and complete complex forms for the purpose of documenting specialized program-related information; provides customer service in a calm, helpful and effective manner. Manages a wide range of clerical office operations with substantial independent responsibility for multiple programs/functions within an office; may represent management in sensitive and confidential situations; develops and recommends procedures applicable to areas of assignment; develops and implements systems for improving the efficiency and effectiveness of assigned operations; monitors deadlines and calendars as assigned; arranges and coordinates complex meetings, seminars or classes; arranges for travel and transportation; may coordinate clerical/technical aspects of budget administration; may coordinate and maintain various computerized systems and processes. Prepares a variety of difficult and complex reports, letters, resolutions and other documents requiring highly advanced knowledge of specialized subject matter; maintains and monitors complex work logs and tracking systems; reviews and analyzes complex legal, custody, health care and other administrative records to identify needed information; develops and maintains complex spreadsheets and databases, either by hand or computer; maintains data and develops reports for budget purposes. Obtains in-depth and/or difficult information from managers, staff, patients, clients, and others; identifies and seeks to meet customer needs, maintaining tact and diplomacy and using good judgment regarding sensitive/confidential matters. As an incidental duty, may serve as a lead worker over a large group or supervise a small group of clerical and/or technical employees; provides training as assigned; develops, organizes and distributes training materials as appropriate.  Experience: One year of work at a level equal to or higher than Office Assistant Specialist in San Joaquin County service. Experience: Two years of work at a level equal to or higher than Senior Office Assistant in San Joaquin County service. Experience: Four years of general clerical, secretarial and/or office technical work, including at least two years performing duties at or above a full-journey level. Certificates: If required by the nature of the assignment, 1) possession of acceptable typing/keyboarding or other certification of ability to input data at the rate of 45 words per minute; and/or 2) possession of an acceptable proficiency certificate in one or more computer software programs. Advanced office practices and procedures, including office management; principles and practices of prioritizing, planning and organizing work; advanced clerical practices related to personnel management, payroll, labor relations, purchasing, inventory control, clerical accounting, and systems development/maintenance; advanced clerical methods of researching, gathering, organizing and reporting data; personal computer systems and general office computer software; public relations techniques; advanced interviewing techniques; advanced filing and record keeping systems; complex correspondence and report formats; advanced clerical accounting methods and practices; general secretarial methods and practices; fundamental analytical principles and processes; principles of training and supervision. Perform quasi-administrative/analytical work related to various specialized office activities; research, interpret, and apply complex laws/regulations, court orders, program policies/procedures, and third-party rules/requirements related to areas such as personnel management, payroll, labor relations, purchasing, inventory control, clerical accounting and systems development/maintenance; evaluate and establish priorities; gather, organize, input and maintain complex information, including financial or program-specific data; provide/obtain detailed information to/from others as appropriate, including confidential and/or otherwise sensitive information; utilize advanced office procedures and equipment; follow complex oral and written procedures and directions; establish and maintain effective working relationships with others, even in difficult situations; communicate effectively with others; write clearly and legibly; perform advanced arithmetical operations; lead or supervise others.